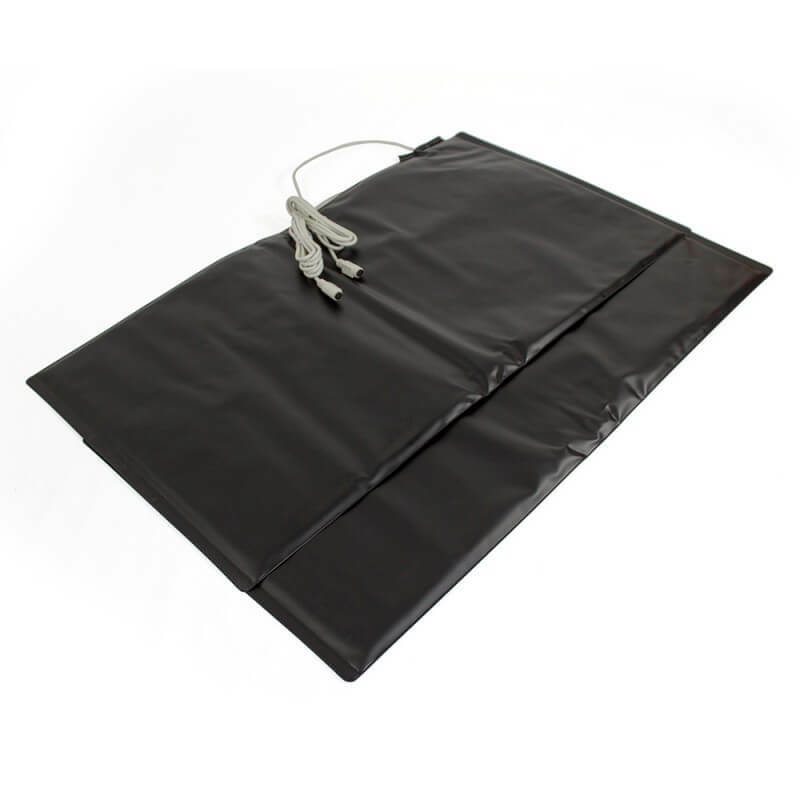 Timing mats are pressure sensitive switches designed to be activated when the mat is stood on. They are digital switch-type sensors that have two states, ON and OFF. The mat is normally OFF (open) until someone stands on the mat when the switch is ON (closed). Large: 720 long x 390 mm wide x 3 mm thick. Small: 595 long x 170 mm wide x 3 mm thick. 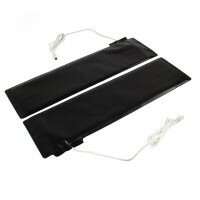 They can be used singly or as a pair for timing and event monitoring. The mats connect to the timing ports on the data logger (labelled A and B). One mat could be used to start the timer and the other mat to stop it. Designed to be used on a flat even surface e.g. the floor. If used outside they will need protection from sharp objects. Their sensitivity will decrease if used under floor coverings e.g. carpet. 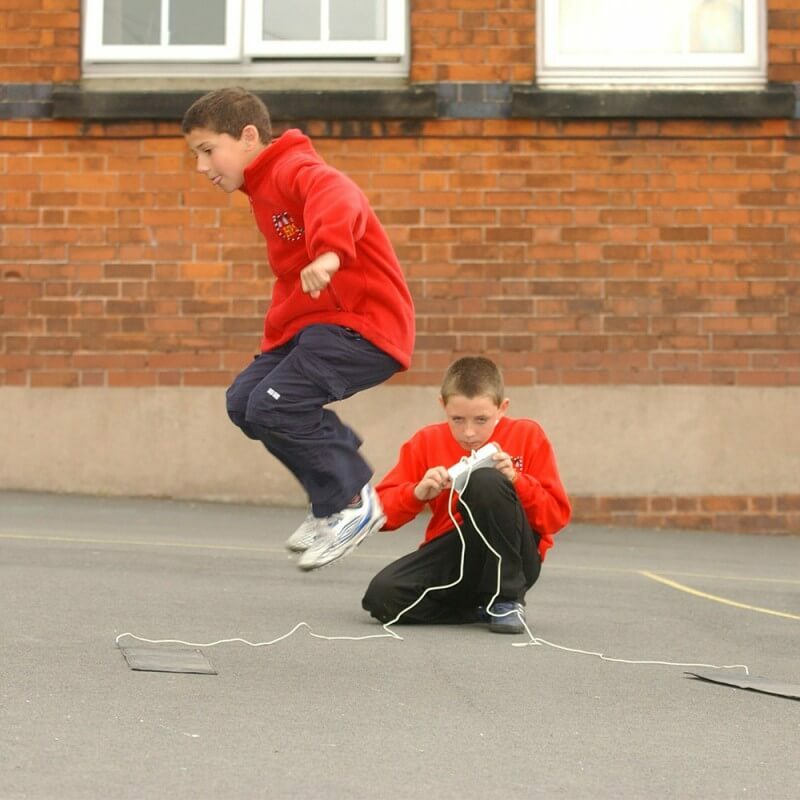 Each mat is fitted with screened cable approximately 2 meters in length. The total lead length will depend on which sensor lead is used to connect to the logger i.e. 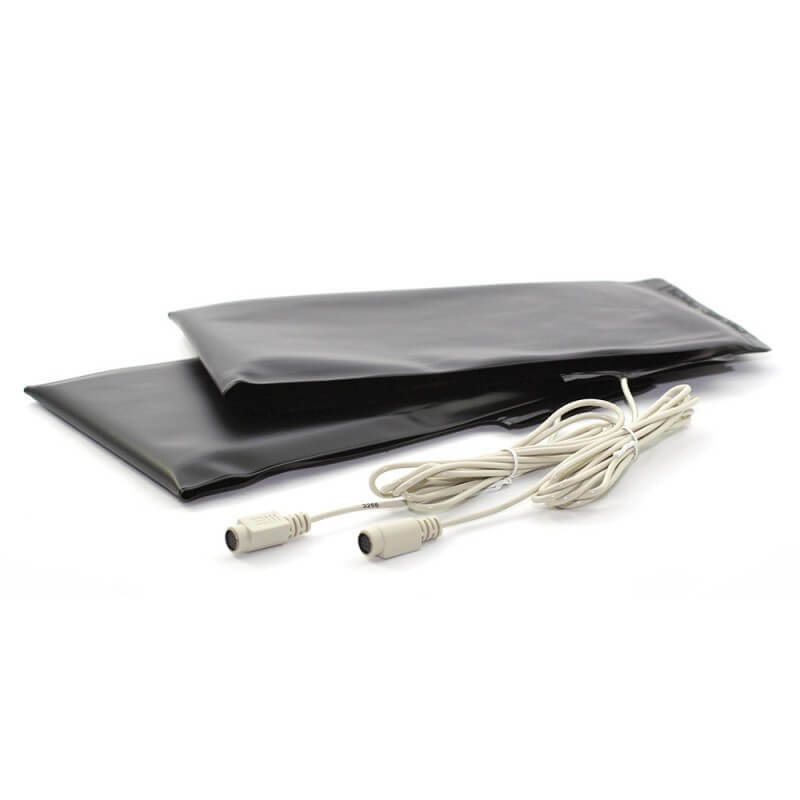 a long sensor lead is 1.5 m long = total length of 3.5 m. A 1.5 metre Sensor extension lead, Product No. 3017, can be used to further extend the distance between the switches. How long do I stay in the air when I jump? How fast can I run, hop or skip? How many jumps / steps can I do in a minute?